BY VISITING WWW.SAVVYPCI.COM (“WEBSITE”), ESTABLISHING AN ACCOUNT, OR USING THE SERVICES WE OFFER TO ACCOUNT HOLDERS (“SERVICES”) , YOU AGREE THAT YOU HAVE READ AND AGREE TO BE BOUND BY AND A PARTY TO THE TERMS AND CONDITIONS OF THIS AGREEMENT TO THE EXCLUSION OF ALL OTHER TERMS. IF THE TERMS OF THIS AGREEMENT ARE CONSIDERED AN OFFER, ACCEPTANCE IS EXPRESSLY LIMITED TO SUCH TERMS. IF YOU DO NOT UNCONDITIONALLY AGREE TO ALL THE TERMS AND CONDITIONS OF THIS AGREEMENT, YOU HAVE NO RIGHT TO USE THE WEBSITE OR SERVICES. USE OF OUR SERVICES IS EXPRESSLY CONDITIONED UPON YOUR ASSENT TO ALL THE TERMS AND CONDITIONS OF THIS AGREEMENT, TO THE EXCLUSION OF ALL OTHER TERMS. SavvyPCI uses industry, community, and registrant information to deliver value to website users, and we reserve the right to change how we use and offer this information at anytime. SAVVYPCI utilizes PCI industry data sources, commentary received from its community of users, and information received from its registered users to provide businesses with fast and free PCI facts, and community collaboration opportunities, and other benefits. SAVVYPCI also offers providers that register, on a subscription basis, the opportunity to provide supplemental information and materials as well as to clarify information contributed by the community of users. Additional services may also be offered from time to time as described and under the terms set out on the WEBSITE and in this Agreement. SavvyPCI may change, suspend or discontinue the Services at any time, including the availability of any feature, database, or SavvyPCI Content (as defined below). SavvyPCI may also impose limits on certain features and services or restrict your access to parts or all of the Services without notice or liability. In using this service you represent that you are at least 13 years old, have supplied accurate information, and can use this service legally. If you have read all of our legal terms and cannot agree to them, then you must not, and cannot, use this website and service. You represent and warrant to SavvyPCI that: (i) you are of legal age to form a binding contract, and you are at least 13 years or age or older; (ii) all registration information you submit is accurate and truthful; and (iii) you will maintain the accuracy of such information. As a guest or user of this website you agree that SavvyPCI is your “limited agent” to access third-party information and websites like: Visa, MasterCard, American Express and the PCI Security Standards Council. As a user/member or registrant you must provide accurate information about yourself and your company. There are three ways to gain access to our services – as a guest, a user, or, if you are a provider of PCI services, then as a registrant (such terms being defined as “Guest,” “User,” and “Registrant” respectively). When you run a search on our Website you are directing us to access third party data sources of PCI data and information on your behalf. Our access of these data sources on your behalf is subject to the terms and conditions established by those data sources and will be binding on you as our principal. It may require the disclosure to the operators of such data sources of some or all the data that you provided to us. You expressly consent to our disclosure of your personal data for this purpose. These terms and conditions are made a part of this Agreement and links are provided at the end of this section. Guest Access: If you choose to use our service as a Guest, at the beginning of each search session you must click a button to indicate your intent to appoint us as your limited agent under this Agreement and authorize us to access third-party PCI data and information sources subject to their respective terms and conditions. Users and Registrants. You shall provide SavvyPCI with accurate, complete, and updated registration information. Failure to do so shall constitute a breach of this Agreement, which may result in immediate termination of your account. You may not (i) select or use as a User ID a name of another person with the intent to impersonate that person; or (ii) use as a User ID a name subject to any rights of a person other than you without appropriate authorization. SavvyPCI, in its discretion, reserves the right to refuse registration of or cancel a User ID . You shall be responsible for maintaining the confidentiality of your password. SavvyPCI content is owned and copyrighted except where third-party sources are cited, in which case their terms apply. In either case you generally cannot reuse or store information from this website without permission except as our, and third-party, services, tools, and terms allow. The Services, together with the www.SavvyPCI.com website and domain name and any other features, content, or application services offered from time to time by SavvyPCI (collectively, the “Website”), are owned and operated by SavvyPCI. In the course of providing the Services, third-party websites will be accessed from time to time by us as your agent subject to the terms and conditions of this Agreement and the terms and conditions of the third-party websites that we access on your behalf. All materials displayed or presented by us on the Website or otherwise in connection with our provision of the Services, including, but not limited to text, graphics, articles, photographs, images, illustrations (also known as the “SavvyPCI Content,”) are owned by us and protected by copyright, except to the extent that attribution is given by us to one or more third parties such as the owners of the third-party websites we access on your behalf. You shall abide by all copyright notices, trademark rules, information, and restrictions contained in any SavvyPCI Content accessed through the Services, and shall not use, copy, reproduce, modify, translate, publish, broadcast, transmit, distribute, perform, upload, display, license, sell or otherwise exploit for any purposes whatsoever any SavvyPCI Content or other proprietary content not owned by you: (i) without the express prior written consent of the respective owners, and (ii) compliance with all applicable laws and regulations. When you contribute or register content to SavvyPCI you grant us license to use it as part of our services. You also agree we are not responsible for the content, that you are supplying legal content (see list), and that we can remove it if we choose too. In the course of using the Services you may provide information (“Your Content”) from time to time. 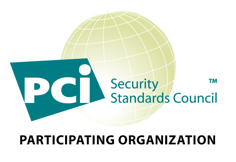 This includes information provided by you about providers of PCI services. You grant to us a limited license to use Your Content in connection with our delivery of the Services, software, and information. You agree that you are solely responsible for Your Content and any consequences of its posting or use by us or other Users. You represent and warrant that you either have all legal rights to the content you are submitting. You agree that SavvyPCI is not responsible for any submissions, including any content linked to from the submission. You understand that we have the right, but no obligation, to monitor submissions. SavvyPCI reserves the right to remove or edit any content from the Services at any time, for any reason (including, but not limited to, upon receipt of claims or allegations from third parties or authorities relating to such content or if SavvyPCI is concerned that you may have breached the immediately preceding sentence), or for no reason at all. You further acknowledge that we may remove a User’s privilege to post content on our Website. or contains a virus, trojan horse, worm, time bomb, or other harmful computer code, file, or program. You grant us a royalty free, irrevocable, perpetual, worldwide, exclusive and fully sub-licensable license to use, reproduce, modify, adapt, publish, translate, create derivative works from, incorporate into other works, distribute, perform, display, and otherwise exploit Your Content, in whole or in part in any form, media or technology now known or later developed. You will not commit fraud or abuse with, or to, this website, including hacking, scrapping, and more. You take full responsibility for the selection and use of and access to the Services. Any fraudulent, abusive, or otherwise illegal activity may be grounds for termination of your right to access or use the Services. You may not post or transmit, or cause to be posted or transmitted, any communication or solicitation designed or intended to obtain password, account, or private information from any other user of the Services. Use of the Services to violate the security of any computer network, crack passwords or security encryption codes, transfer or store illegal material (including material that may be considered threatening or obscene), or engage in any kind of illegal activity is expressly prohibited. You will not run Maillist, Listserv, any form of auto-responder, or “spam” on the Services, or any processes that run or are activated while you are not logged on to the Website, or that otherwise interfere with the proper working of or place an unreasonable load on the Services’ infrastructure. Further, the use of manual or automated software, devices, or other processes to “crawl,” “scrape,” or “spider” any page of the Website is strictly prohibited. You will not decompile, reverse engineer, or otherwise attempt to obtain the source code of the Services. You will be responsible for withholding, filing, and reporting all taxes, duties and other governmental assessments associated with your activity in connection with the Services. Following the termination or expiration of this Agreement you will not access the Website for any reason. All access privileges will immediately be revoked. You are using this website, content and functionality at your own risk, and you release us from all liability for your use of, and others’ use and exposure to, this website, content and software service. You acknowledge that all SavvyPCI Content and Your Content (together, “Content”) accessed by you using the Services is at your own risk and you will be solely responsible for any damage or loss to any party resulting therefrom. Under no circumstances will SavvyPCI be liable in any way for any Content, including, but not limited to, any errors or omissions in any Content, including without limitation reports generated by the Services, or any loss or damage of any kind incurred in connection with use of or exposure to any Content posted, emailed, accessed, transmitted, or otherwise made available via the Services. You, not SavvyPCI, remain solely responsible for all Content, including messages, that you upload, post, email, transmit, or otherwise disseminate using, or in connection with, the Services. You acknowledge and agree that your indemnity obligation in Section 10 also applies to any third party claims relating to your disclosure of any third party personally identifiable information or the tracking of visitors (including without limitation your end user customers) on your website. You acknowledge that SavvyPCI has no control over, and no duty to take any action regarding: which users gain access to the Services; what Content you access via the Services; what effects the Content may have on you; how you may interpret or use the Content; or what actions you may take as a result of having been exposed to the Content. You release SavvyPCI from all liability for you having acquired or not acquired Content through the Services. Like every other complex software service we cannot be responsible or liable for the quality or performance of our information, content, and software services, or their impact on you, your business, or anyone else. This website, content, and software is provided on an “as is” basis with no warranties or guarantees. While we strive to deliver to you Content of the highest quality, SavvyPCI makes no representations or warranties concerning the Services, the Website, or any software or Content contained in or accessed through the Website or Services, and SavvyPCI will not be responsible or liable for the accuracy, copyright compliance, legality or decency of material contained in or accessed through the Website or Services. SavvyPCI makes no representations or warranties regarding suggestions or recommendations of services or products offered or purchased through the Website or Services. THE SERVICES, CONTENT, WEBSITE AND ANY SOFTWARE ARE PROVIDED ON AN “AS IS” BASIS, WITHOUT WARRANTIES OF ANY KIND, EITHER EXPRESS OR IMPLIED, INCLUDING, WITHOUT LIMITATION, IMPLIED WARRANTIES OF MERCHANTABILITY, FITNESS FOR A PARTICULAR PURPOSE, NON-INFRINGEMENT, OR THAT USE OF THE SERVICES WILL BE UNINTERRUPTED, SECURE OR ERROR-FREE. NO ADVICE OR INFORMATION, WHETHER ORAL OR WRITTEN, OBTAINED FROM SAVVYPCI OR THROUGH THE WEBSITE WILL CREATE ANY WARRANTY NOT EXPRESSLY MADE HEREIN. SOME STATES DO NOT ALLOW LIMITATIONS ON HOW LONG AN IMPLIED WARRANTY LASTS, SO THE ABOVE LIMITATIONS MAY NOT APPLY TO YOU. We necessarily use your information to track you as part of delivering and improving our services to you. You indemnify and hold harmless SavvyPCI, its parents, subsidiaries, affiliates, officers, agents, and employees from any claim or demand made by you, your organization, or any third party due to or arising out of your access to our Services. You will indemnify and hold SavvyPCI, its parents, subsidiaries, affiliates, officers, and employees harmless (including, without limitation, from all damages, liabilities, settlements, costs and attorneys’ fees) from any claim or demand made by any third party due to or arising out of your access to the Services, use of the Services, your violation of this Agreement or applicable laws, rules or regulations in connection with your use of the Services, or the infringement by you or any third party using your account of any intellectual property or other right of any person or entity. You agree to indemnify SavvyPCI for any taxes and related costs paid or payable by SavvyPCI attributable to taxes that would have been your responsibility under this Agreement if invoiced to you. You shall promptly pay or reimburse SavvyPCI for all costs and damages related to any liability incurred by SavvyPCI as a result of your non-compliance or delay with your responsibilities in this Agreement. SavvyPCI, and any associated organization, person, or agent cannot be held liable for this website, content, or software services. IN NO EVENT SHALL SAVVYPCI OR ITS SUPPLIERS, OR THEIR RESPECTIVE OFFICERS, DIRECTORS, EMPLOYEES, OR AGENTS BE LIABLE WITH RESPECT TO THE WEBSITE OR THE SERVICES OR THE SUBJECT MATTER OF THIS AGREEMENT UNDER ANY CONTRACT, NEGLIGENCE, TORT, STRICT LIABILITY OR OTHER LEGAL OR EQUITABLE THEORY (I) FOR ANY AMOUNT IN THE AGGREGATE IN EXCESS OF THE FEES PAID BY YOU FOR THE SERVICES DURING THE 12-MONTH PERIOD PRECEDING THE APPLICABLE CLAIM; (II) FOR ANY INDIRECT, INCIDENTAL, PUNITIVE, OR CONSEQUENTIAL DAMAGES OF ANY KIND WHATSOEVER; (III) FOR DATA LOSS OR COST OF PROCUREMENT OF SUBSTITUTE GOODS OR SERVICES; OR (IV) FOR ANY MATTER BEYOND SAVVYPCI’S REASONABLE CONTROL. SOME STATES DO NOT ALLOW THE EXCLUSION OR LIMITATION OF INCIDENTAL OR CONSEQUENTIAL DAMAGES, SO THE ABOVE LIMITATIONS AND EXCLUSIONS MAY NOT APPLY TO YOU. We can bill for our services and can change prices at anytime. We will notify you by email or on the website. SavvyPCI reserves the right to require payment of fees for certain or all Services. You shall pay all applicable fees, as described on the Website in connection with such Services selected by you. SavvyPCI reserves the right to change its price list and to institute new charges at any time, upon notice to you, which may be sent by email or posted on the Website. Your use of the Services following such notification constitutes your acceptance of any new or increased charges. Any fees paid hereunder are non-refundable. When making purchases you are responsible for all taxes and applicable tax laws, and we will try to facilitate you. “Taxes” means all taxes, levies, imposts, duties, fines or similar governmental assessments imposed by any jurisdiction, country or any subdivision or authority thereof including, but not limited to federal, state or local sales, VAT, GST, use, property, excise, service, transaction, privilege, occupation, gross receipts or similar taxes, in any way connected with this Agreement or agreement required hereunder, and all interest, penalties or similar liabilities with respect thereto, except such taxes imposed on or measured by a party’s net income. All prices, fees and other charges payable under this Agreement or agreement ancillary to or referenced by this Agreement, shall not include any Taxes. You agree to bear and be responsible for all such Taxes. You shall make all payments required without deduction of any Taxes, except as required by law, in which case the amount payable shall be increased as necessary so that after making any required deductions and withholdings, SavvyPCI receives and retains (free from any liability for payment of Taxes) an amount equal to the amount it would have received had no such deductions or withholdings been made. If you are a tax-exempt entity or claims exemption from any Taxes under this Agreement, you shall provide a certificate of exemption upon execution of this Agreement and, after receipt of valid evidence of exemption, SavvyPCI shall not charge you any Taxes from which it is exempt. Without limiting the foregoing, all references to payments made in this Agreement are exclusive of any VAT, GST or other consumption taxes (collectively, “VAT”) chargeable and where required by law, VAT shall be itemized at the rate applicable, if any, and paid in addition thereto. You shall communicate to SavvyPCI your VAT identification number(s) attributed by (i) the country where you have established your business, and/or (ii) any other country where you have established a fixed establishment, to which the Services under this Agreement are provided. SavvyPCI shall consider the Services under this Agreement to be for your business use and provided to the location(s) of you in accordance with the provided VAT identification number(s). You shall comply with all applicable tax laws and regulations, and you shall provide SavvyPCI all necessary assistance to facilitate the recovery or refund of any VAT paid by SavvyPCI in relation to the Services to the respective government or authority. You are responsible for the risk and terms of accessing third-party websites and links on this service, including when we access them on your behalf as your “limited agent”. The Services may contain links to third party websites or services (“Third Party Websites”) that are not owned or controlled by SavvyPCI. When you access Third Party Websites, and likewise, when we do so on your behalf as your agent, access is at your risk and subject to the terms and conditions and privacy policies of such Third Party Websites. You or SavvyPCI can terminate your use of this service or membership, at any time, without notice, and it may result in the permanent loss of all of your data. This Agreement shall remain in full force and effect while you use the Services. You may terminate your use of the Services at any time. SavvyPCI may terminate or suspend your access to the Services or your membership at any time, for any reason, and without warning, which may result in the forfeiture and destruction of all information associated with your membership. SavvyPCI may also terminate or suspend any and all Services and access to the Website immediately, without prior notice or liability, if you breach any of the terms or conditions of this Agreement. Upon termination of your account, your right to use the Services, access the Website, and any Content will immediately cease. Sections 2, 4, 5, 7, 8, 9, 10, 11, 12, 13, 14, 15, 16, and 17 shall survive the termination or expiration of this Agreement. All other provisions of this Agreement which, by their nature should survive termination or expiration of this Agreement, or that are reasonably required in the interpretation of other surviving provisions, shall survive the termination or expiration of this Agreement. Failure to comply with some part of this agreement does not waive any rights. If you establish an account with SavvyPCI we become your limited agent. These “friendly summaries” and headings are for your convenience. Only the legal language is accurate and binding. The failure of either party to exercise, in any respect, any right provided for herein shall not be deemed a waiver of any further rights hereunder. If any provision of this Agreement is found to be unenforceable or invalid, that provision shall be limited or eliminated to the minimum extent necessary so that this Agreement shall otherwise remain in full force and effect and enforceable. This Agreement is not assignable, transferable or sublicensable by you except with SavvyPCI’s prior written consent. SavvyPCI may transfer, assign or delegate this Agreement and its rights and obligations without consent. Establishment of an account with SavvyPCI establishes a limited agency as provided in Section 3 above, with you as the principal and SavvyPCI as your agent for the limited purposes of accessing certain third-party websites and databases on your behalf. Nothing in this Agreement establishes a partnership, joint venture, or employment and you do not have any authority of any kind to bind SavvyPCI in any respect whatsoever. Headings and summaries for each section have been included above for your convenience, but such headings and summaries do not have any legal meaning, and may not accurately reflect the content of the provisions they summarize or precede. SavvyPCI reserves the right, in its sole discretion, to modify this Agreement at any time by posting a notice on the Website, or by sending you a notice via email or postal mail. You shall be responsible for reviewing and becoming familiar with any such modifications. Your use of the Services following such notification constitutes your acceptance of the terms and conditions of this Agreement as modified. This agreement is governed by US Tennessee law and any disputes arising from it, or our services and information, will be settled by streamlined arbitration in english in Shelby County TN. You understand and agree that you and SavvyPCI are entering this agreement together and that we both waive our right to trial and class action. This Agreement shall be governed by and construed in accordance with the laws of the State of Tennessee without regard to any conflict of laws provisions thereof that would result in the application of the laws of any other jurisdiction. Any dispute arising from or relating to the subject matter of this Agreement shall be finally settled by arbitration in Shelby County, Tennessee, using the English language in accordance with the Streamlined Arbitration Rules and Procedures of Judicial Arbitration and Mediation Services, Inc. (“JAMS”) then in effect, by one commercial arbitrator with substantial experience in resolving intellectual property and commercial contract disputes, who shall be selected from the appropriate list of JAMS arbitrators in accordance with the Streamlined Arbitration Rules and Procedures of JAMS. Judgment upon the award so rendered may be entered in a court having jurisdiction, or application may be made to such court for judicial acceptance of any award and an order of enforcement, as the case may be. Notwithstanding the foregoing, each party shall have the right to institute an action in a court of proper jurisdiction for injunctive or other equitable relief pending a final decision by the arbitrator. For all purposes of this Agreement, the parties consent to exclusive jurisdiction and venue in the state and United States Federal Courts located in Memphis, Shelby County, Tennessee. Any arbitration under this Agreement will take place on an individual basis: class arbitrations and class actions are not permitted. YOU UNDERSTAND AND AGREE THAT BY ENTERING INTO THIS AGREEMENT, YOU AND SAVVYPCI ARE EACH WAIVING THE RIGHT TO TRIAL BY JURY OR TO PARTICIPATE IN A CLASS ACTION.